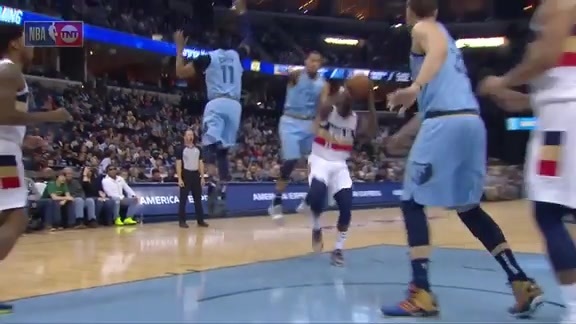 MEMPHIS – Memphis is known around the NBA for its trademark, methodical “Grit and Grind” style of play, but on Monday, New Orleans center Jahlil Okafor took a page from the Grizzlies’ playbook. Moved into the Pelicans’ starting lineup due to the injury absence of five-time All-Star Anthony Davis, Okafor played like an All-Star himself, dominating in the paint and relying on old-school low-post moves. 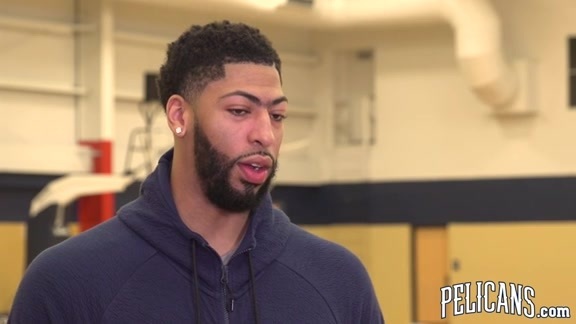 The first-year member of the Pelicans played his best game of 2018-19 by registering 20 points and 10 rebounds, outperforming Memphis counterpart Marc Gasol, a decorated big in his own right. New Orleans finished 2-3 on its longest road trip of the regular season and cut the gap between it and eighth place in the Western Conference to 3.5 games. In doing so, the Pelicans won for a second straight time when Davis did not play, after going 0-4 prior to that this season when Davis was a DNP. 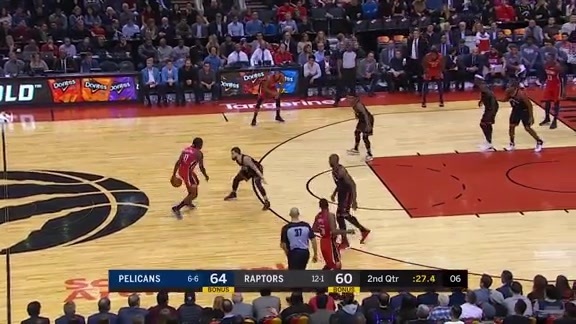 New Orleans built an 18-point lead with 9:12 remaining, when Darius Miller connected for his first points of the game, a left-wing three-point shot. It was the Pelicans’ biggest lead of the day at that stage. The 85 points allowed by New Orleans represented its best defensive showing of ’18-19 by far, with the previous opponent low being 95 vs. Memphis on Jan. 7. Okafor delivered a 20-and-10 night, scoring his most points in a game since nearly exactly a year ago, when he posted 21 for Brooklyn in a contest at Minnesota. Okafor was also supremely efficient, going 9/11 from the field in his 35 minutes. Although Julius Randle and Nikola Mirotic have started in the same lineup at times, Alvin Gentry opted to keep Mirotic as a reserve. The forward/center produced 18 points, giving the second unit some much-needed scoring punch, highlighted by 5/12 three-point shooting. Okafor noted in a postgame radio interview with WRNO 99.5 FM that his father took the next flight from his Chicago home to Memphis when he learned that Jahlil would be starting against the Grizzlies. The trip to Tennessee on Martin Luther King Day was well worth it for pops, who witnessed the younger Okafor make his most important contribution of ’18-19, controlling things around the basket from the get-go. 6/17: Memphis three-point shooting in the first half, while New Orleans was just 1/12. 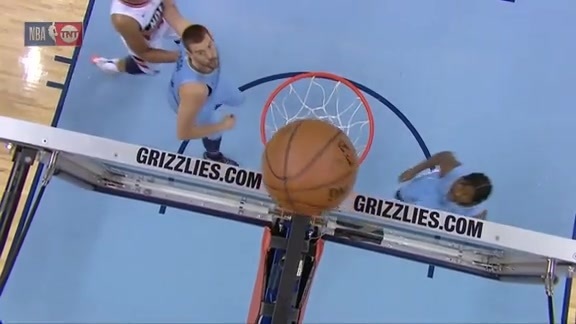 That flipped completely after intermission, with the Grizzlies at 3/18 and the Pelicans 8/14. 50-35: New Orleans rebounding advantage. Randle led the Pelicans with 12 rebounds, while Jrue Holiday grabbed 11 (to go with 21 points and six assists). 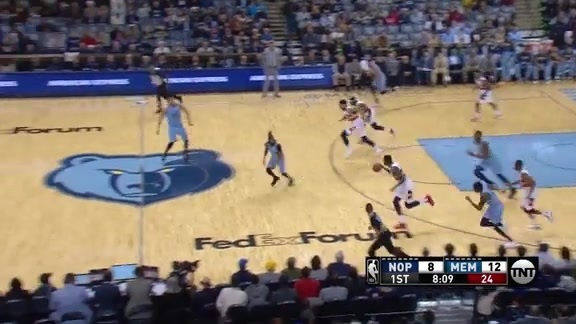 19: New Orleans turnovers, one blemish on an otherwise solid performance. The Pelicans likely will need to clean that up significantly while playing without Davis, as well as heading into a brutal stretch of schedule in late January/early February against various formidable West clubs. 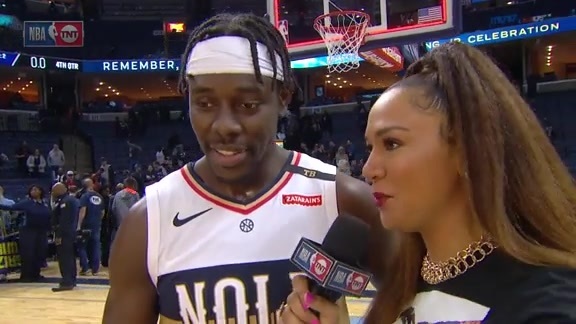 Pelicans Jrue Holiday talks about TNT reporter Rosalyn Gold-Onwude following the team's road win over the Grizzlies. 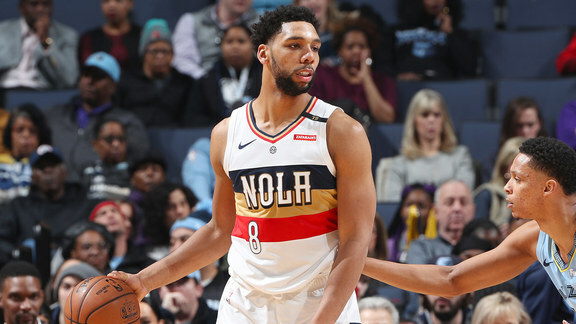 Pelicans Jahlil Okafor tallied 20 points and 10 rebounds in the team's win against the Grizzlies. 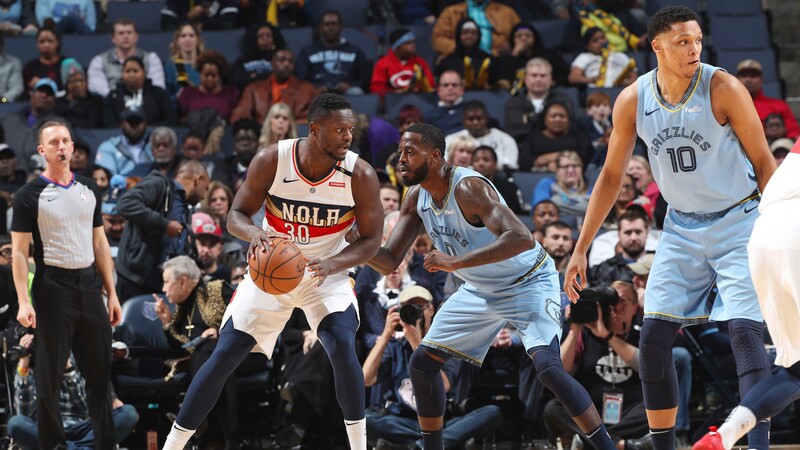 Check out highlights from Jrue Holiday's 21-point, 11-rebound, and six assist performance in the Pelicans win over the Grizzlies. 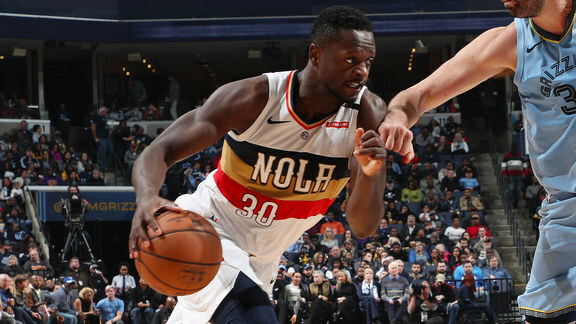 Pelicans Julius Randle scored 20 points and grabbed 12 rebounds in the team's win against the Grizzlies. 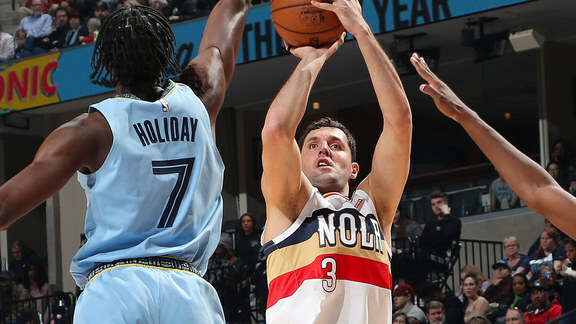 Pelicans Nikola Mirotic knocked down five triples on the way to 21 points against the Grizzlies. 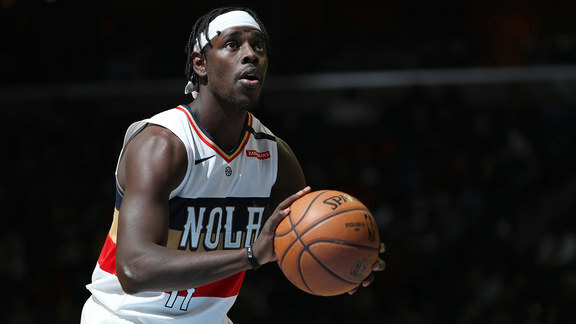 Pelicans Jrue Holiday puts on the moves and finishes with bucket down the lane. Pelicans Jahlil Okafor follows up the miss with the big slam. 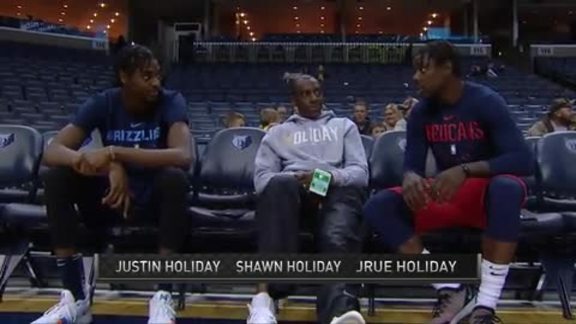 TNT reporter Rosalyn Gold-Onwude visited with Shawn Holiday, father of Jrue and Justin, as their respective teams faced off in Memphis. 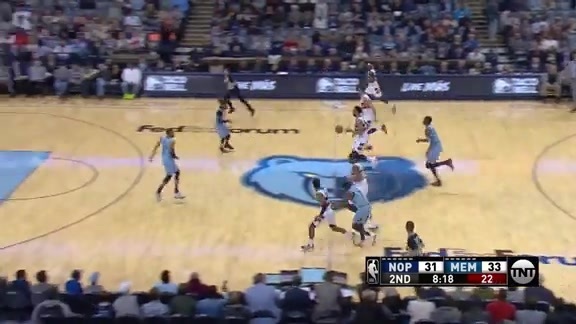 Pelicans Jrue Holiday knocks down the triple with a little help from the backboard. Pelicans Jahlil Okafor comes up big on defense with the block on Marc Gasol and leads to a left-handed finish by Jrue Holiday. 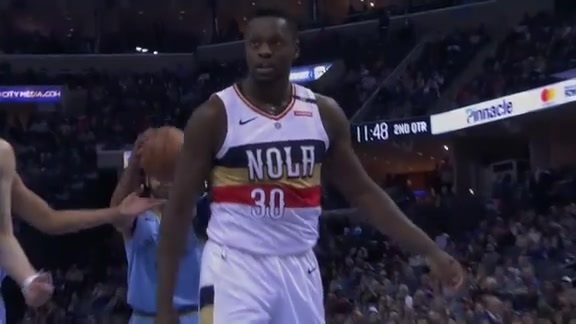 Pelicans Julius Randle collects the pass from Jrue Holiday and goes up strong with the dunk and one. 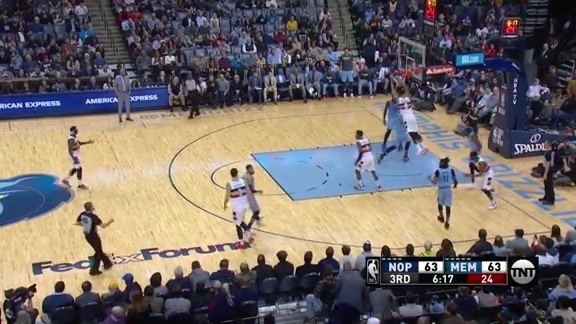 Pelicans Jrue Holiday steps through the defense and finishes with the floater. Pelicans Julius Randle goes coast-to-coast after the steal and finishes with the big dunk.